Performing Lines has formed a new strategic partnership with Singapore’s National Arts Council to deliver a skills development and exchange program for Singaporean Producers. Starting at last year’s Borak Art Series alongside the OzAsia Festival and continuing throughout 2019, two Producers, Hsia Ling Woo and Jeffrey Tan, are working with our producers across the country to examine the opportunities and challenges in creating new work in our respective nations, and to deepen our understanding of and networks within Singapore, Australia and our surrounding region. 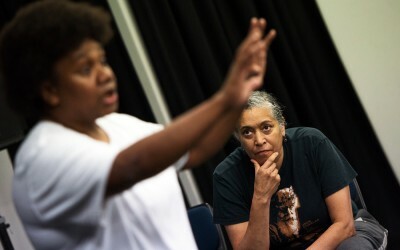 Ahead of their visit to Sydney for Sydney Festival, including Yellamundie National First Nations Playwriting Festival, we had a chat to each Producer about their work, how they view the role of the producer, and more. Tell us about yourself – how did you first get involved in the arts? It was in primary school that I first got involved in dance as a co-curricular activity. I joined the school’s choir in secondary school, and took Art at O-Level. I also found myself actively participating in skits put up by my class for school assemblies during those periods in life. It wasn’t until I pursued a Fine Arts degree in Technical Production & Management at the Queensland University of Technology that I got my first taste of working in professional theatre. How do you select the artists you work with and the work you produce? What do you look for? It isn’t so much a case of actively searching for artists to work with, but a discovery and the connection through conversations, and from having worked together in different capacities. Working with artists that I have huge respect for due in part to their high level of creativity and critical thinking, artists that have drive, and whose work ethics and values I can get behind are crucial. I like working with artists who have an ongoing methodology in creating work, and who believe in and are willing to engage in the rigorous process of developing a new work. What helps inform the decision to work with an artist are internal questions I ask myself, such as “What work do I best serve?”, and “Am I a good fit in their practice?”. I do this as I see my relationship with the artist akin to a partnership where there is meaningful exchange, mutual trust, communication and understanding. I want to work with artists who are interested in a constant development of their practice and craft, and to be part of their journey by identifying opportunities not just for the work being produced, but for their professional development as well. As an independent Producer, my interest is in supporting new performance works with an inclination towards works that possess one or more of these traits: work that incorporates intercultural connections, strong storytelling, autobiographical, biographical, community involvement, participatory, immersive, site-specific or in non-conventional spaces. Describe your role in the creative process? How involved are you in the making of work? As a producer, I believe in an artist-led process and approach each project with that principle. The voice of the artist is important. I see my role as one who facilitates and contributes to the artist’s process, and enables the artistic vision alongside the artist. Having had 16 years of extensive production experience, I’ve been able to lend a creative and technical eye to provide creative solutions especially when the artform for a project is relatively fluid. The artists I’ve been working with have been very open and I’ve been involved in the creative processes in various ways – brainstorming of concept and content; identifying and proposing research material, stories and elements; providing feedback and provoking ideas during the creative development process. However, I leave it with the artist to choose what to include in the work at the end of the day. Besides looking for funding to make the work, I also support the artists in managing timelines, planning and strategizing throughout the development of work. What have and will you be doing on your trips to Australia? This initiative took off at the end of October last year and our first trip was to Adelaide, where we attended the Borak Arts Series and OzAsia Festival. We had the opportunity to meet and connect with Australian and international presenters, producers, programmers, artists, leaders of arts companies, and enablers. It was an extraordinary valuable time as I learnt a lot from many of them who shared and listened so generously. Outside of the arts conference, we had regular sessions of discussions and reflections with Performing Lines’ Producer, Jen Leys, who provided really helpful advice and guidance. The time in Adelaide allowed me to do some mapping exercises, gain a better understanding of the producing landscape in Australia, and learn a little more about some of the major Australian Festivals from the perspectives of Festival Directors. I intend to continue with this frame of learning in the upcoming trips to Australia, as well as nurture the relationships formed. 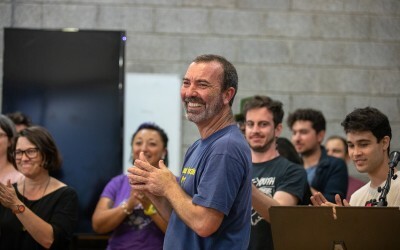 We will undergo series of intensive sessions with the various staff at Performing Lines, observe and study one of their upcoming projects, visit Festivals – Sydney Festival, Perth Festival and Dance Massive in Melbourne, and continue meeting and connecting with more people in the Australian and international arts industry. While in Melbourne, I am making plans to be present for the development workshops of a new work that Melbourne-based artists Jamie Lewis and Alex Walker are creating, and of which I am the Producer for. This work will take the format of an intergenerational dinner party, involving 9 to 12 year-olds cooking for/with seniors above 65. I hope to share more about this new project in person during my trips to Australia, as we are seeking support and partners to develop and present the work. I will also be keeping a lookout for presentation opportunities for iterations of two works. The first is Saltwater, a participatory and autobiographical performance by Jamie Lewis, where the audience is invited to prepare a meal together and enter into an evening of storytelling, conversations and food. The second is Kulit On The Go by Singaporean Artist Erwin Shah Ismail and directed by Richard Tan, a one-man travelling show performed with music accompaniment on the ukulele, taking a farm to fashion approach in revealing the heart and art of leather crafting to redefine luxury goods. 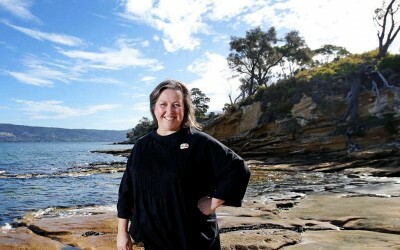 What most excites you about the opportunity to visit Australia and work with Performing Lines? 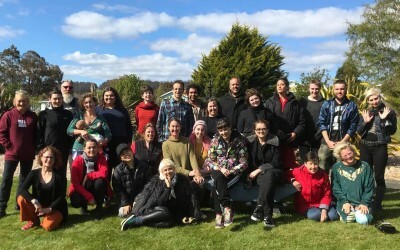 My undergraduate and postgraduate studies in Australia were foundational to my career in the arts and personal growth, so this opportunity to return, reconnect and receive professional development training under the mentorship and guidance of an established team of producers and arts managers is really special. 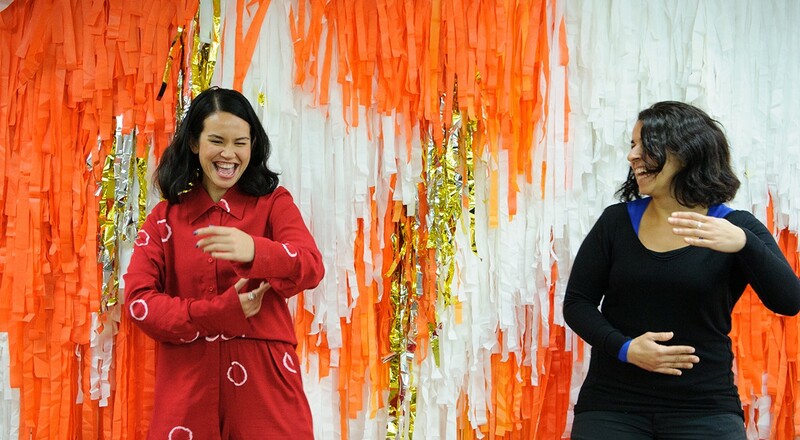 I am excited to see how and what doors will open through this – be it collaborations, new work, residencies, or more – not just for me, but for artists and producers in Singapore and Australia.